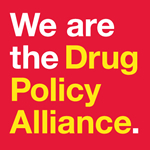 The New York Office of DPA will develop a coalition comprised of advocates, community members, and activists who have resisted the far-reaching apparatus that is the war on drugs. Together, we will identify all the ways in which drug war policies have influenced lives --affected their ability to provide needed support to clients, friends, and family. We will challenge each other to create solutions, beyond the abstinence/addiction binary, that promote safety and health. Through a truth and reconciliation process, we will create space for those who have been harmed by the drug war so that they can confront the individuals responsible for perpetuating the cycle of punishment. What will it take to create a community-centered vision for a world without a War on Drugs? Engage advocates in dialogue in order to identify harmful public policies that reinforce the punitive nature of the drug war. Create space for people who have been harmed by punitive drug policies, faced barriers to accessing resources because of drug use or a drug-related conviction, or lost a family member to overdose or incarceration. Lead an accountability process aimed at policymakers and elected officials responsible for creating, promoting and implementing racist drug policies. Advocate for policies that promote compassionate, health-focused treatment for all regardless of race, gender identity, or immigration status.